Corian® Solid Surface Glacier White used in the organic shaped translucent reception desk at Galeries Lafayette. The world-renowned high-end French department store Galeries Lafayette sets its second flagship store in China at L+Mall Shanghai. With its prime position in the Lujiazui financial district, Galeries Lafayette is set to become a new fashion hub for Shanghai. 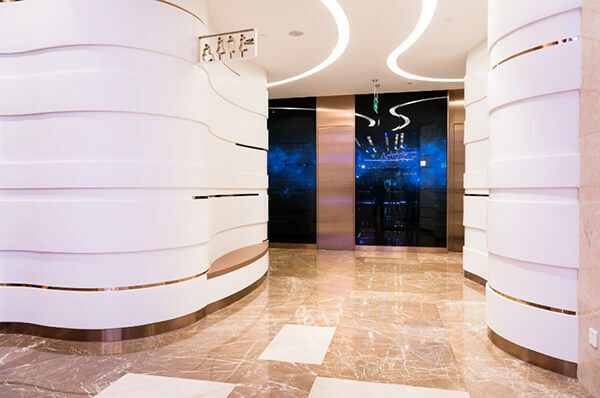 Corian® Solid Surface is used throughout the commercial space, interior design and public area in Galeries Lafayette and L+ Mall to enable this perfect blend of art and forward-thinking design. Immersive skylight above the main arcade aims to resemble the night sky. 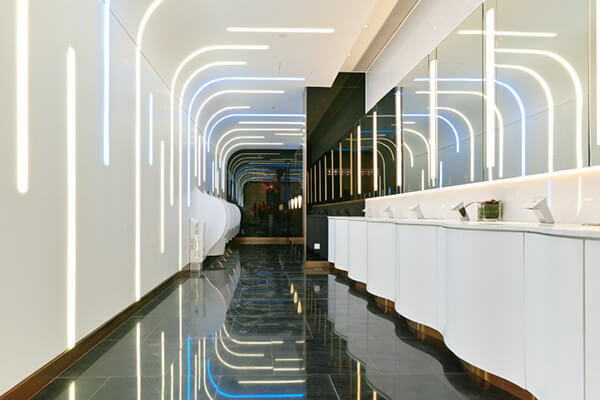 Coupled with Corian® cladding and fluid LED light bands, a strong visual motif takes visitors on a journey through the space. The concept of the “walkable” skylight structure also allows people to go sightseeing on the roof using the entrance on the 11th floor. These are only possible with Corian® Solid Surface leveraging seamless joint and translucency capability without compromising functional benefits such as hygiene and easy to maintain. With new portfolio of stores, art and delights, L+Mall moves away from the typical food-centric mall concept and redefines the mall and shopping experience in Shanghai. 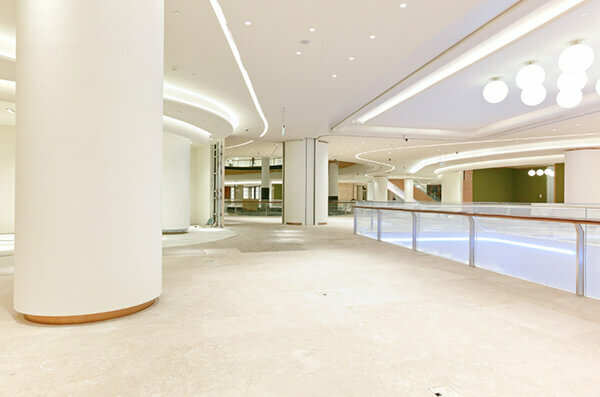 Once again, Corian® Solid Surface has made revolutionary design possible and sets L+Mall a new fashion icon in modern CBD. Fabricator: Shanghai ZZJ Trade Development Co. Ltd.